Every city in the world has its vagaries where transportation for hire is concerned. Where and how to consistently hail a cab in New York is a kind of dark art. Anticipating your fare while cabbing it in Tokyo takes both experience and luck. 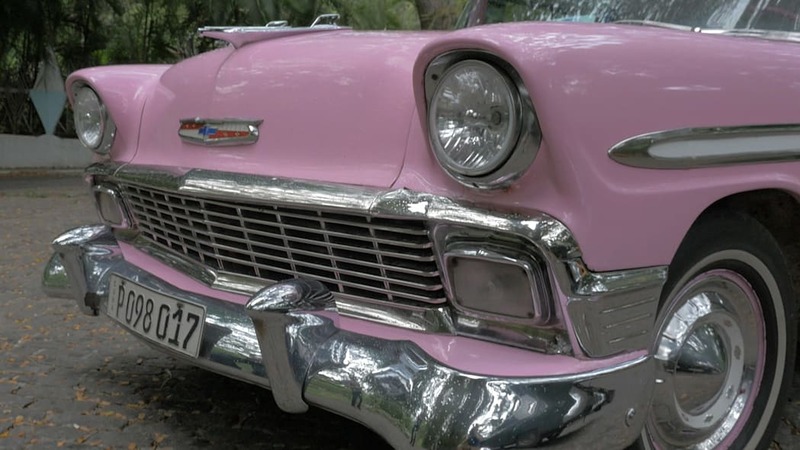 But Cuba is a world apart when it comes to taxis. In part because of the great variety of conveyance and reason to ride, in part because of the nation's pervasive cash-based commerce, and in part because it's still a little bit confusing even after you understand the basics. Taxis all over the world might be interesting to the fringe fleet-obsessed, but your average car guy – hell, even your average American citizen – will find the Cuban variety entertaining. 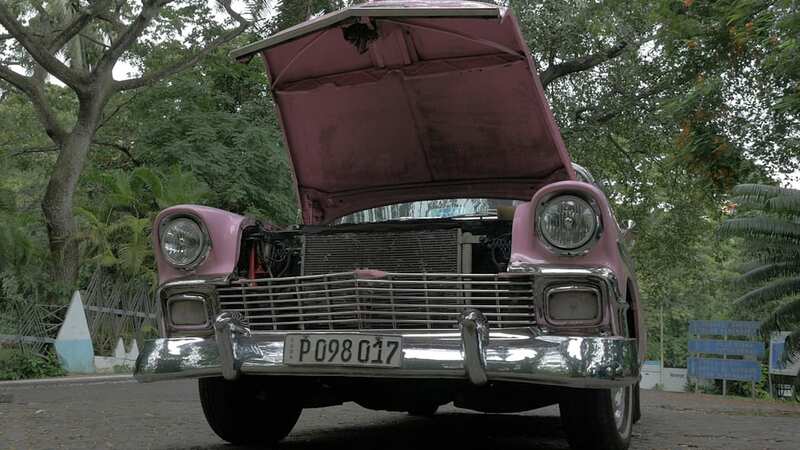 Everyone knows that Cuba is the land that time forgot when it comes to motoring. 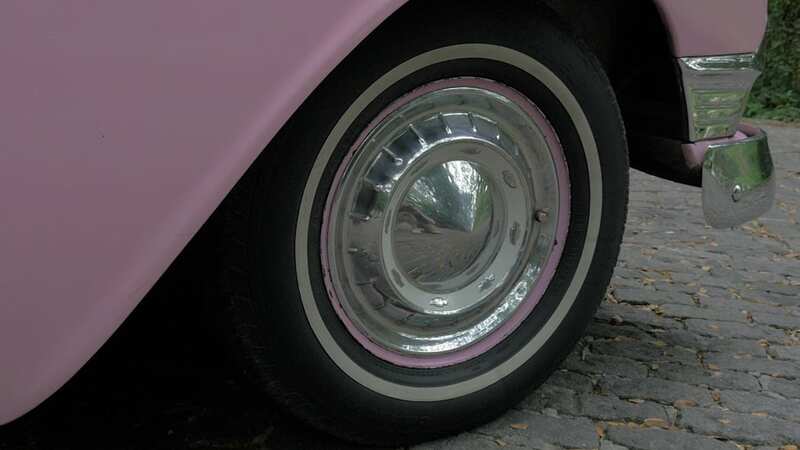 And the Island's car culture becomes inescapable and terrifically whimsical when you realize that you, as a tourist, get to take an active role. 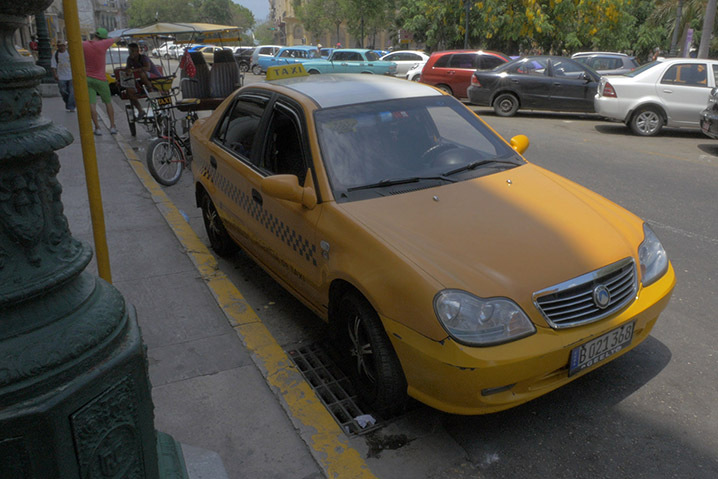 So, in our continuing series about the cars of Cuba, I'll teach you to tackle the taxi. How to get one, which sort you'll want, and what to avoid. 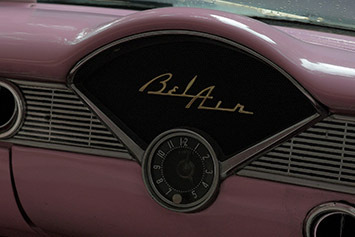 The cab had a standard-looking fare meter that was never once turned on. I don't even think it was powered, to tell the truth. 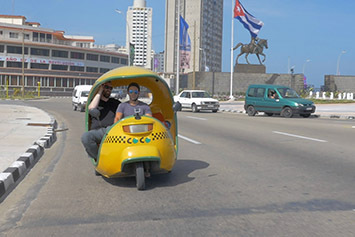 Chances are good that once you get off your plane in Havana, make a nervous trip through the passport control, and pickup you luggage, the first taxi you see will be of the government-owned variety. 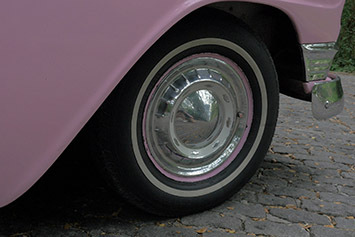 The Cuban government-run cars are licensed to wait for fares outside of airports and large hotels. 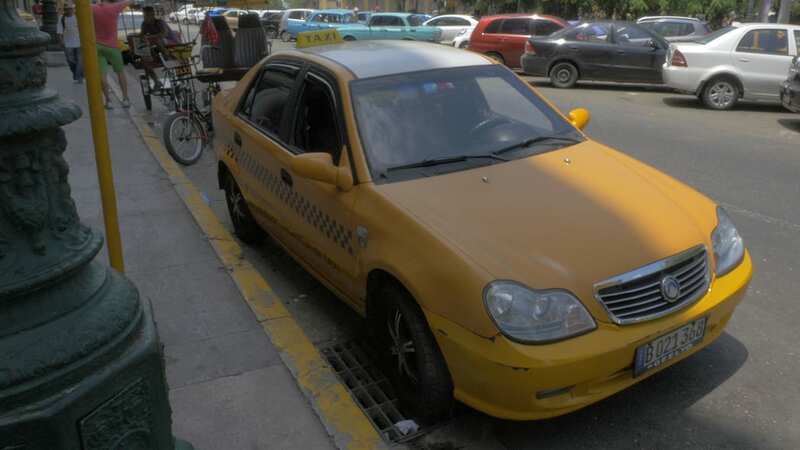 In my case, the first cabbie to get to me (often times there are several competing for your attention) was driving a ordinary looking, late model Hyundai in a typical yellow livery. Newer Kias and Chinese Geelys are quite common, too. 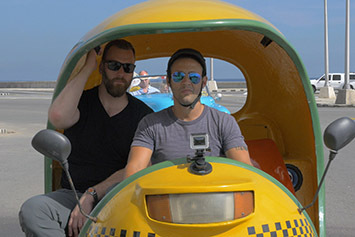 That first experience proved to be typical of the Cuban "yellow cab" idiom in many ways. To start, the cab had a standard-looking fare meter that was never once turned on. I don't even think it was powered, to tell the truth. 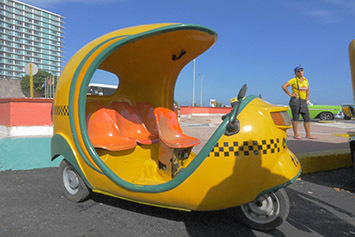 It was later explained to me that a wave of modern cabs was added to the Havana fleet years ago. When they arrived, they had the same meters and mileage rates that you'd expect to find in the US. And that was a change from the previous system of negotiating the fare up front. 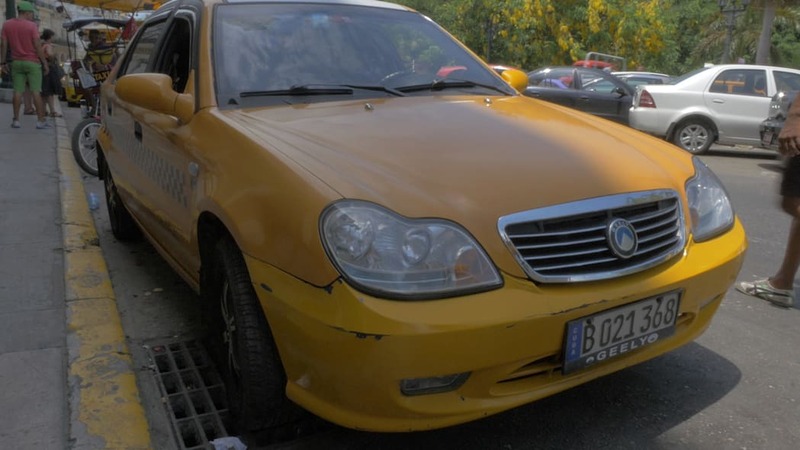 Issues with meter fraud and cabbie payouts – the cars are essentially rented to the drivers by the government – eventually forced a reversal back to the old system. The stories I heard varied quite a bit, but the general theme was that drivers must work very long hours, or in shifts with co-workers, to make a nut big enough to pay the rent with something left over. That means that I was left dickering over fares for every ride I took, with cabbies more than happy to make use of my relative rich-white-American-ness. Of course I eventually found out I was paying more than I really should have in many cases. Let my hard-learned lessons be your guide. While the yellow cars all look pretty standard, the level of customer service is all over the map. 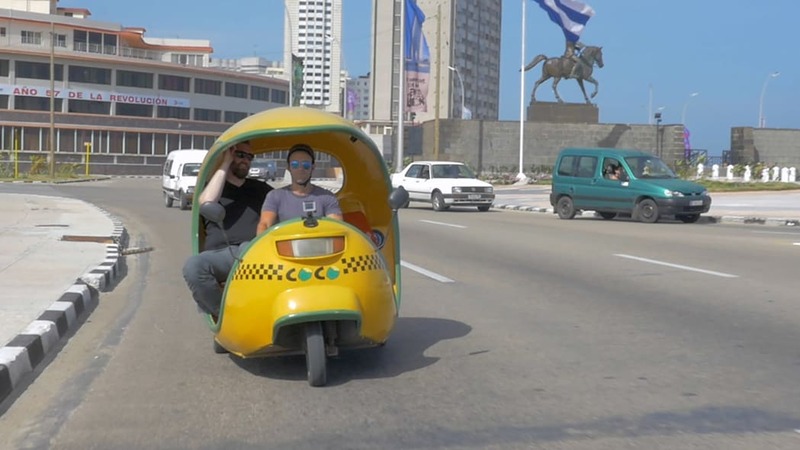 Getting from the airport to your hotel in Havana seems to be a quasi-standard fare: expect to pay about 30 convertible pesos (otherwise called "CUCs," pronounced "kooks"). In most other cases, yellow cabs charged me rates that varied a great deal for similar distances (a fact that wasn't helped by my traveling with a producer and scads of camera gear, I'm sure). 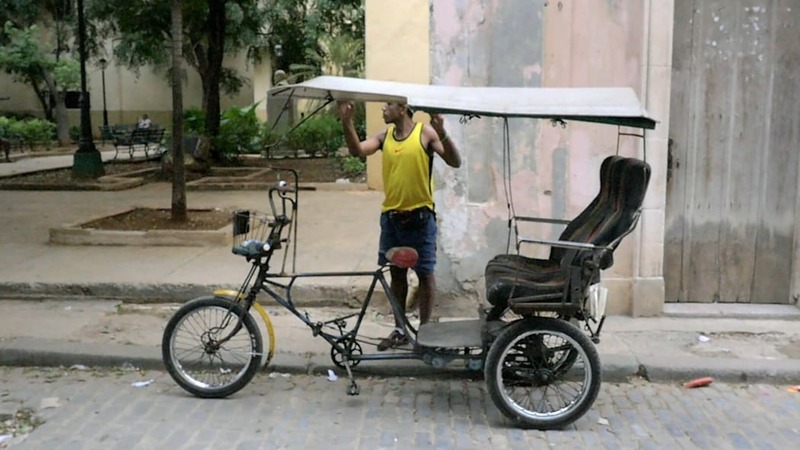 A ride from my hotel near the coastal Malecón road to Old Havana once ran 10 CUC, once 6 CUC, and once 20 when we had to take a route that avoided a carnival. The length of a ride in time seems to have little bearing on the amount you'll pay. Where you hail the taxi is more of a factor – big hotel entrances being more expensive than side streets, for instance. Colin Laverty owns the company that helped to arrange my trip to Havana, Cuban Educational Travel, and has been visiting Cuba and cabbing around for a decade. His suggestion was simple: always start out by suggesting a five-CUC fare. Often times the drivers will simply agree, but if they do start to dicker at least you know you've kicked off on favorable terms. It's also important to remember that, while the yellow cars all look pretty standard, the level of customer service is all over the map. The Cuban cabbies we dealt with ranged from stoic to hilariously adventurous. Non-traditional products and services offered over the course of our week included: cigars, rum, money exchange, tips on clubs and restaurants (often in while traveling to a different restaurant, and with vague mentions of women), and in one particularly memorable example, a choice of Viagra or Cialis for sale. One of the more interesting ways of being cheerfully demeaned by a stranger. In any case, a rough 10 percent tip is standard, though I have no idea if there's an expected premium for illicit pharmaceutical delivery. There are government-owned classic car taxis, but there are also excellent examples in the hands of private citizens. 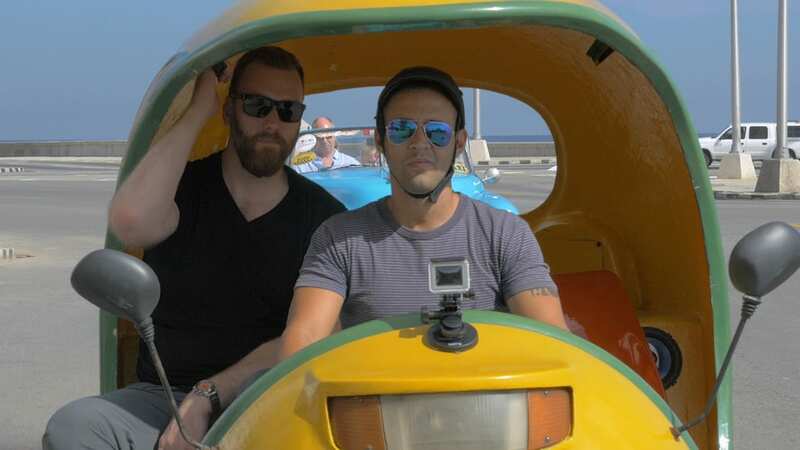 Of course, cabbing in Cuba isn't all about modern yellow cars and stashes of little yellow pills. 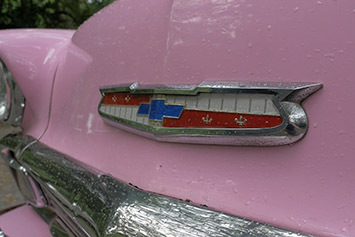 Being able to hail a 1940 Ford or a '55 Caddy for your ride downtown is one of the most famous reasons for car-guy fascination with the island. 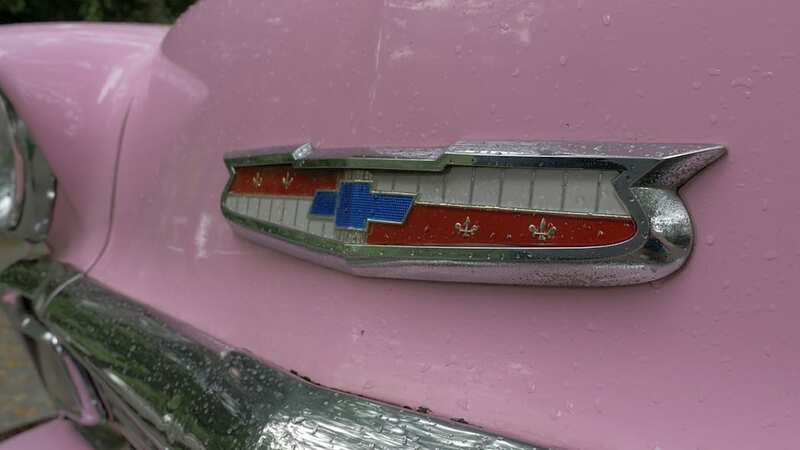 There are government-owned classic car taxis, the nicest of which carry "Gran Car" designations and door markings. But there are also excellent examples in the hands of private citizens, who are more than happy to contract with you to take a tour, long or short. 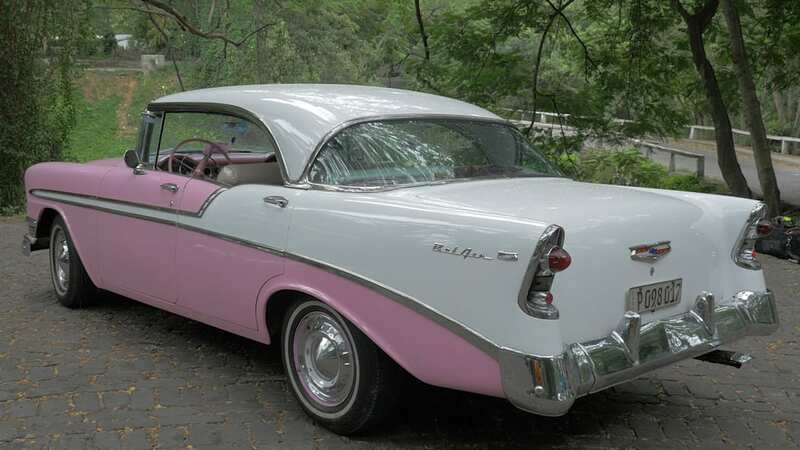 In my case I landed with a company called NostalgiCar Cuba, and was driven by co-owner Nidialys Acusta in her signature pick '56 Chevy Bel Air sedan, "Lola." 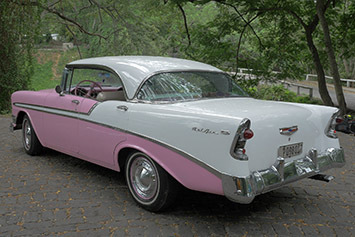 The graceful Chevy was a high-end-typical example of the American classics running around Havana. 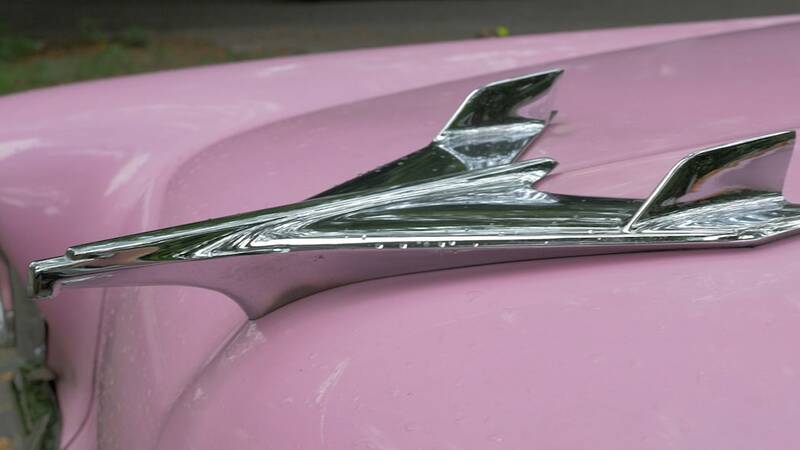 The paint, bodywork, chrome, and interior detailing had all been restored and maintained to a level that belies its role as a daily workhorse. 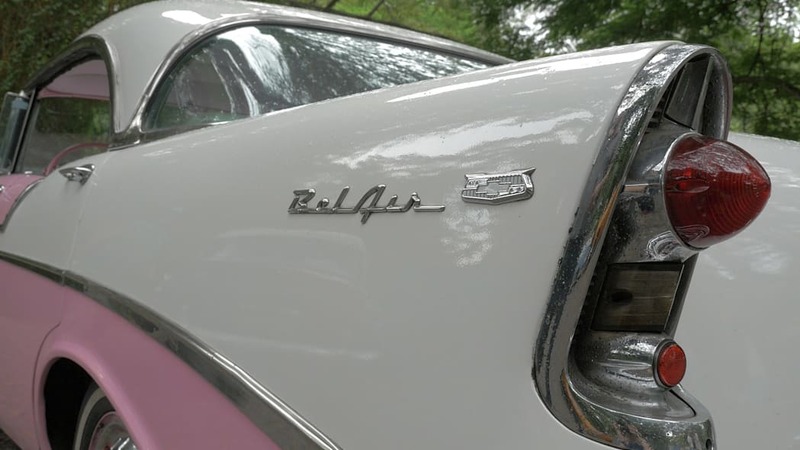 The car's original engine was replaced with a Toyota diesel in the name of fuel economy. 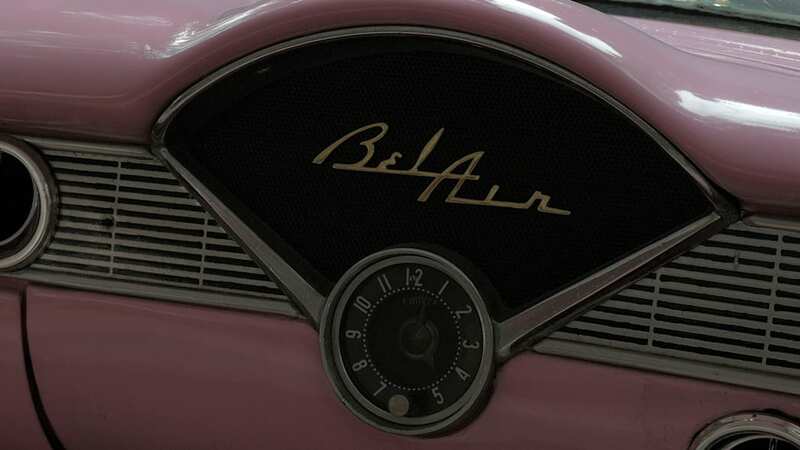 The engine was modified to fit with an automatic transmission to make the rigors of daily driving more palatable, and a modern stereo added in that same effort. 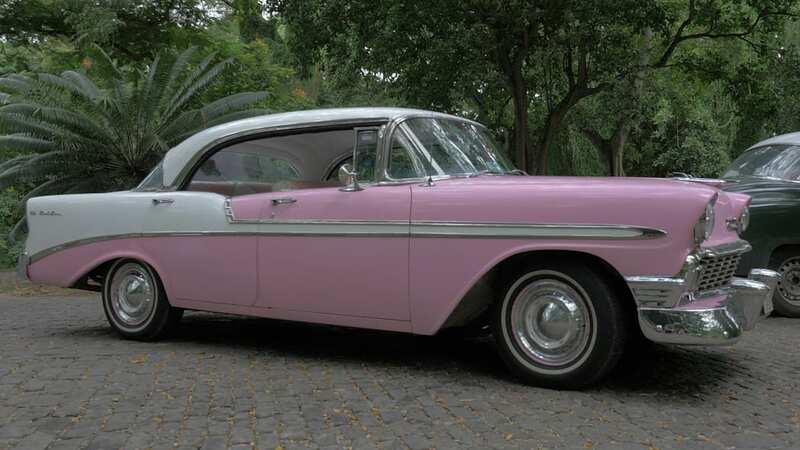 NostaliCar is an interesting case on the Cuban automotive landscape: not only does the company (Nidialys and her master-mechanic husband) own several cars, but it partners with other private owners to field a fleet of 22 vehicles and counting. That kind of private enterprise would've been unheard of just a decade ago, and it makes the idea of planning some of your Cuban adventure ahead of time less daunting. I paid 25 CUC per hour to have a lovely tour of Havana, enjoying the good humor and company of our hostess the whole time. Nidialys also proved to be a template for many other Cubans we found in service sectors, in so far as she was accomplished in her English though shy at first about speaking it. Car nerds should note that there are plenty of "classic" Russian vehicles, too. Ladas and Volgas are all over the place, and cheap to catch a ride in if you're looking for a Soviet Era thrill. They're a charming way of getting around a city that offers something weird or beautiful (or both) to see at every corner. 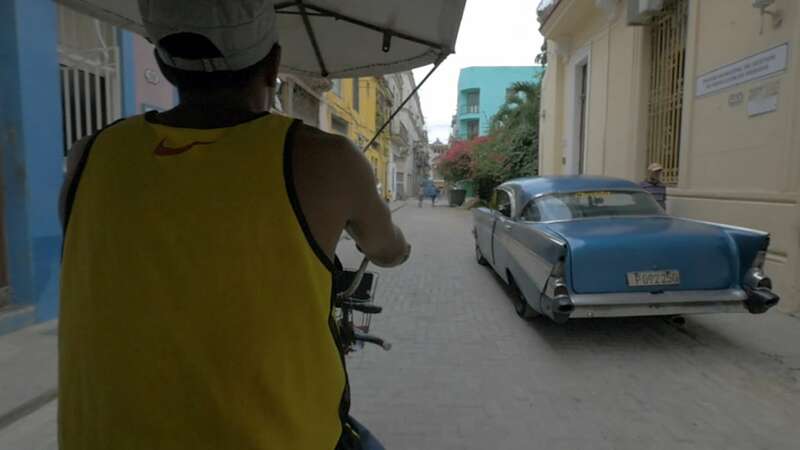 Travelers to Old Havana and the coastal hotels will quickly notice that the streets are littered with a kind of darting, exhaust-puffing, rolling yellow football helmet. 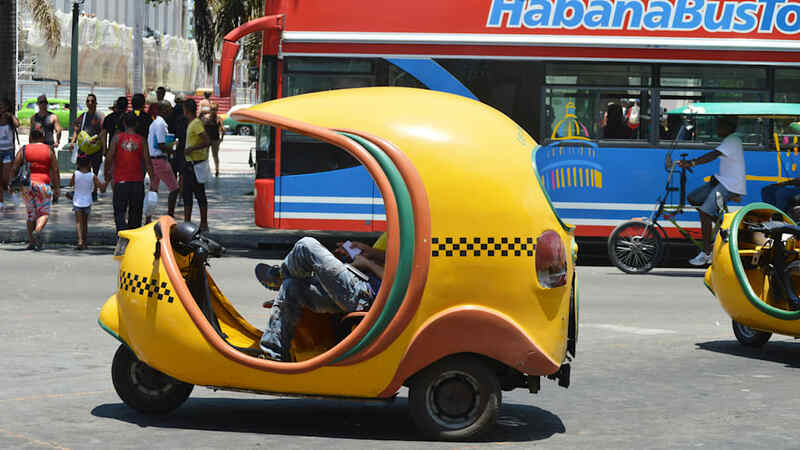 The fiberglass-enclosed scooters are called CoCo taxis, and they're a charming way of getting around a city that offers something weird or beautiful (or both) to see at every corner. If you can't tell from the videos, I'm a large human being. At six-feet, five-inches tall, I've credibly bitched about the cabin constraints of a Range Rover. So sitting in the three-seats-wide rear of a CoCo felt a bit cramped. Hung on an altered motor scooter chassis, the bulbous body shell flexed and leaned dramatically as I took my seat. It smelled like two great eras of my childhood – the Little Tikes Cozy Coupe at five, and ancient Yamaha snowmobile exhaust at 14 – coming weirdly alive in the torpid air. My reverie was broken suddenly as we climbed a rather small hill, and it seemed likely that I'd have to get out and push for a block or so. My worries were unwarranted. The CoCo chugged up and over every hill like a champ, delivering me to my destination with a cologne of diesel exhaust, but safe and smiling. 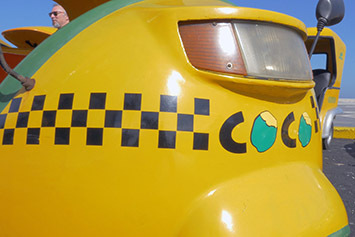 There's not a much of a practical need for taking a CoCo over a standard cab, but I highly recommend a ride along the Malecón with someone you typically enjoy thigh-to-thigh contact with. Still more romantic is a pedicab you and your thigh buddy will use to ride around the quaint squares and lanes of the old city. 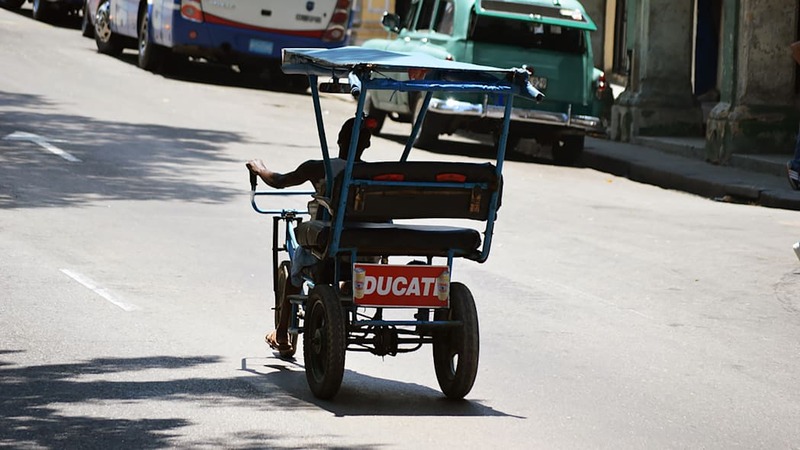 Motorized things have been banned from these ancient streets, giving what Cubans call "Bici" taxis (shorthand of the Spanish word for bicycle, bicicleta). Of course, pedicabs exist all over the world, so the novelty factor isn't quite so high here. I still enjoyed the slow, choppy ride, with street art to look at and the songs of strolling peanut vendors filling the air. I think I'll miss you most of all, operatic peanut lady in traditional garb. I'd venture to guess that it's better to pass if a Bici driver offers you a ride on streets with actual cars. The romance tends to wear off when you're passed by a hurried Chinese tour bus followed by a score of smoking Ladas (though I do endorse "Score of Smoking Ladas" as your metal band's next name). The cabbies' stories, good and bad, help to explain how Cuba has changed and where it might be heading. 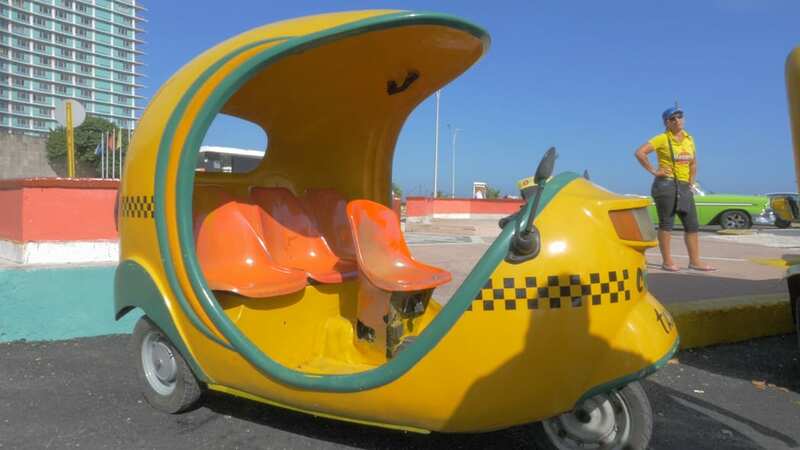 For all their ricketiness, the Bicis and the CoCos weren't much lighter on my wallet than 'normal' Cuban cabs. There's a kind of tourist tax here, as there is with seemingly every ride I took. But the fact is that Cubans themselves take taxis just as much, if not more, than visitors do. 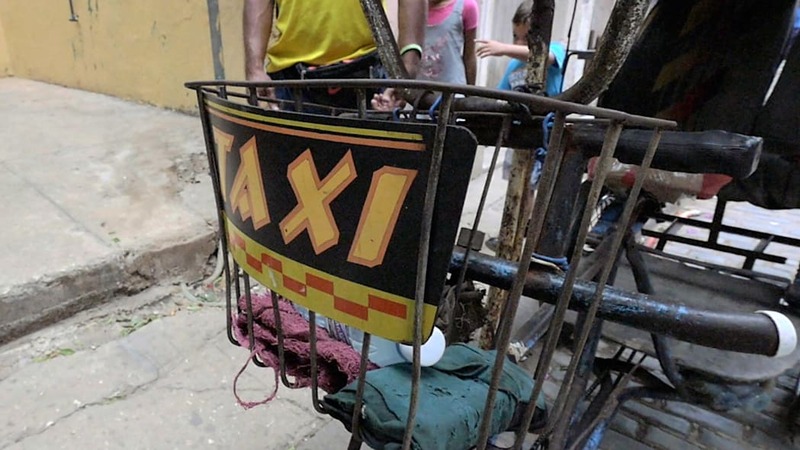 Havana is crisscrossed with routes of what are known as Peso Taxis, so-called because their fares are usually paid in the local currency, Cuban Pesos or CUPs. (One CUC is worth about 25 CUP.) I saw only a handful of city buses while I was in the country, and every bus stop seemed to have dozens of people queued up. Peso taxis, therefore, are a kind of ad hoc way of filling in where state-run transit has thus far failed. 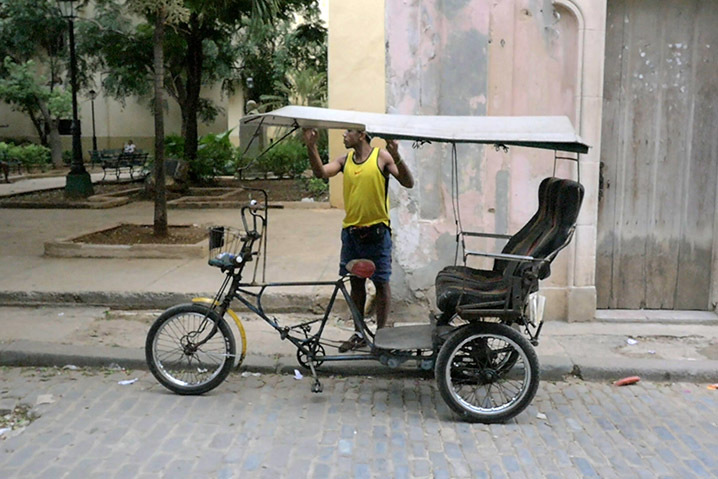 I was told that, with some experience, non-Cubans could ride in Peso taxis, too, and for about a buck a ride. But it's tricky. You've got to be able to recognize them (they aren't marked), and know the routes (which aren't formal). There's also a system of hand signals that drivers and potential fares use: a way of asking/telling where the car is headed without having to stop. It's fascinating. 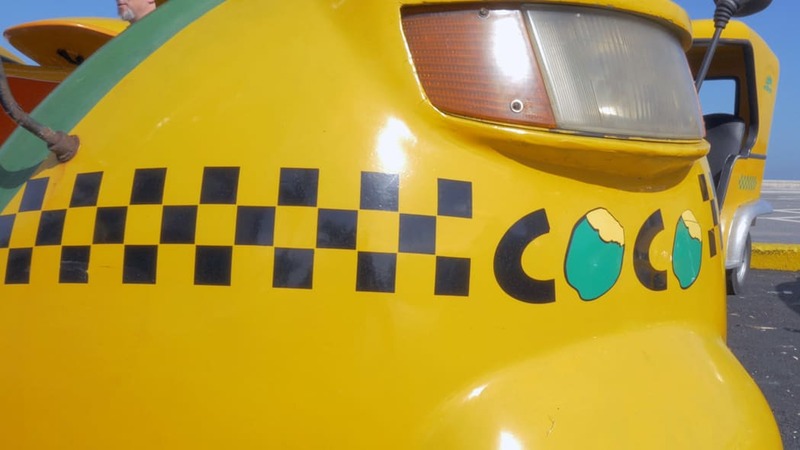 And like the meter-less official cabs, miraculously maintained classic cars, and oddball CoCos, the Peso system shows integrated taxi culture is with the Cuban people. Cabbies were my de facto welcoming committee to the country; their stories, good and bad, help to explain how Cuba has changed and where it might be heading. And, perhaps more than any city I've ever traveled to, the taxis of Havana provide a reason for visiting in and of themselves.